Marc Polinski is known for having fun, always smiling, and being a third wheel for his friends, Noah and Meredith. A rare one night stand at a Halloween party and running into the woman again sets Marc on a path of no return. He can’t walk away from her, even if he wanted to, and he absolutely doesn’t want to do that. Elizabeth Boyd hasn’t dated in a long time and if it wasn’t for her sister-in-law, she wouldn’t have been pushed toward the seemingly bad idea of Marc Polinski. She’s not sure she wants to date, but she can’t seem to turn Marc down either. Little by little, she lets Marc wiggle past all of her defenses. Their relationship is rocky from the start, and with both of them having demons and secrets, things between them are a struggle. 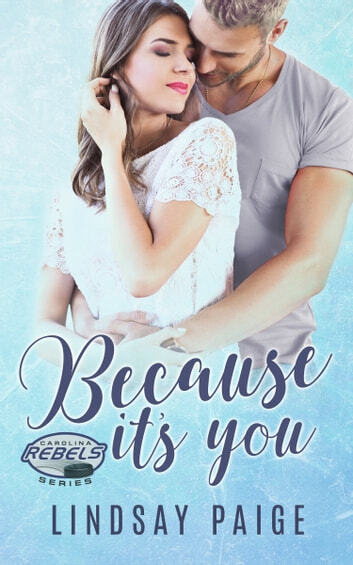 Will they be able to overcome their pasts, let each other in, and start building a life together or will they find they were doomed from the start?